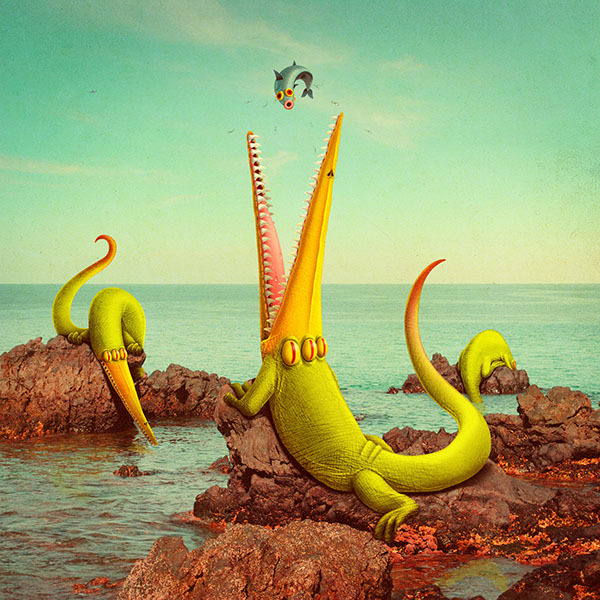 Juan Carlos Paz, aka BAKEA, is a Spanish illustrator and sculptor who combines digital design, illustration and photography to create an original work based on the characters. After studying in Segovia, he moved to Madrid, where he worked as art director at BBDO and DDB, for brands such as Google, Coca-Cola, Amnesty International or Mercedes. Something had to hatch in his head in the spring of 2010 when he left the world of advertising and completely rolled over the illustration creating a new genre of creatures: monsters with three eyes, pastel taxidermy... An unequivocal pop version of a museum of natural history in a parallel universe.